Currently, Dr. Antonson is the Director of Professional services at Ivoclar Vivadent, and she also is a Clinical Associate Professor and the Director of Dental Biomaterials at SUNY at University of Buffalo, School of Dental Medicine. She has been involved with teaching, research and practice simultaneously initially at the University of Florida, Department of Dental Biomaterials (1997-2000) and Nova Southeastern University, College of Dental Medicine (NSU/CDM) in Ft. Lauderdale, FL (2001-2008). In 2000, she was appointed as the New Products Manager at Dentsply Caulk where she invented and launched PoGo, the first one-step composite finishing and polishing device. Prior to joining Ivoclar Vivadent as the Director of Professional Services, Dr. Antonson served as an Associate Professor at Nova Southeastern University College of Dental Medicine, Department of Prosthodontics. She was also the Director of Dental Biomaterials. She served as the President for the International Academy of Dental Research, Dental Materials Group in 2007-2008. Currently, she is serving as the Councilor for the same organization. 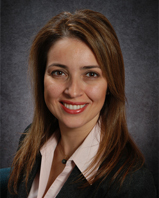 She has lectured nationally and internationally on dental biomaterials, prosthodontic and restorative techniques. Webinars by Sibel Antonson D.D.S., Ph.D., M.B.A.
Why Do We Cement? What Do We Cement? How Do We Cement? This presentation will review the decision making criteria in selecting luting agents based on restorative materials and preparation designs. Current materials and techniques for cementation of contemporary restorations will be reviewed. Additionally, clinical conditions that lead to success and failures of the restorations will be outlined. There is no cost for LVI Alumni to attend this webinar!